Governor Andrew M. Cuomo today announced the next step in the $1.4 billion Vital Brooklyn Initiative to transform the Central Brooklyn region with a new model of community development and wellness to address chronic disparities, such as systemic violence, affordable housing, lack of access to open space and entrenched poverty in high-need communities. In April, Governor Cuomo launched phase two of Vital Brooklyn and announced five RFPs to construct more than 2,000 affordable homes and advance the initiative's $563 million commitment to build 3,000 units of affordable housing in Central Brooklyn. 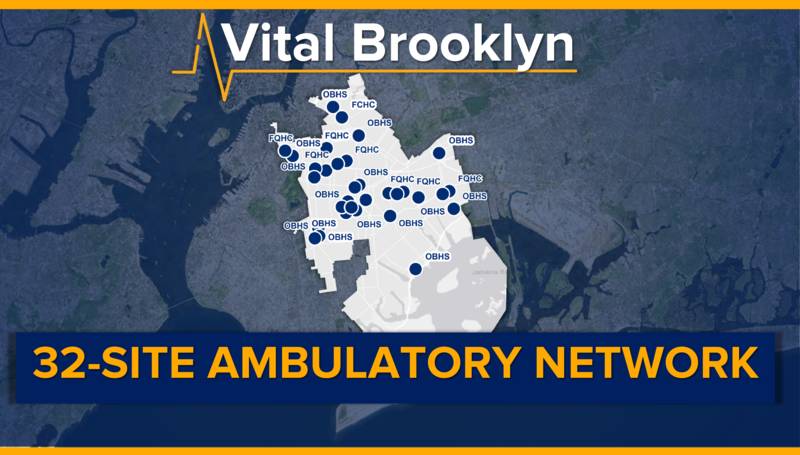 Earlier this month, Governor Cuomo announced that One Brooklyn Health, the new health system created as part of the Vital Brooklyn initiative, identified flagship ambulatory care sites and entered into partnerships with six Brooklyn-based federally qualified health centers to form the foundation of its $210 million, 32-site ambulatory care network. Today, as the next step of the comprehensive initiative, Governor Cuomo announced a $3.1 million investment to renovate and transform eight community gardens and deliver a much-needed direct water connection to 14 others. In partnership with New York Restoration Project and Brooklyn Queens Land Trust all improvements to the 22 community gardens will be complete by the fall of 2019. "The State is taking aggressive action to reverse the chronic social, economic, and health disparities in Central Brooklyn so we can improve the lives of the New Yorkers who live in communities that have been neglected for far too long," Governor Cuomo said. "Community gardens provide critical opportunities for healthier lifestyles, and these vital improvements made in 22 locations are going to connect residents to the outdoors and gathering spaces, and create access to the immeasurable benefits of open space." The State is taking aggressive action to reverse the chronic social, economic, and health disparities in Central Brooklyn so we can improve the lives of the New Yorkers who live in communities that have been neglected for far too long. Currently, Central Brooklyn residents have some of the fewest opportunities for physical fitness in the entire state. In fact, 84 percent of Central Brooklynites have gone without adequate physical activity, which is more than 30 percent higher than the rest of the state. Governor Cuomo's Vital Brooklyn Initiative is aiming to lower these rates by increasing access to nature and open space and improving and creating more recreational opportunities. Earlier this year Governor Cuomo announced $10.6 million to transform 8 schoolyards into community playgrounds. In partnership with the Trust for Public Land 8 asphalt schoolyards are being transformed into dynamic playgrounds and community gathering spaces. To be complete by 2020, the community playgrounds will be designed through a participatory process engaging the students and families associated with each school. Construction of the first playground located at PS 581 on Winthrop Street is underway and scheduled for completion later this year. Governor Cuomo also announced $1.8 million to enhance 4 recreation centers under Phase 2 of the Vital Brooklyn Initiative. The Dormitory Authority of the State of New York are awarding the grants to fund physical improvements to the following four local recreation centers to better serve their communities: Madison Square Boys and Girls Club Thomas Murphy Clubhouse, North Brooklyn/Twelve Towns YMCA, Bedford Stuyvesant YMCA, and Flatbush YMCA. "Access and availability to open space is integral to the health of our communities particularly in urban environments where connections are limited," said State Parks Commissioner Rose Harvey. "Thank you Governor Cuomo, our legislators and community partners for both engaging the conversation and taking action to increase these vital recreational opportunities." New York Restoration Project Executive Director Deborah Marton said, "NYRP is so grateful to Governor Cuomo, his staff, and our legislators for their vision and leadership. 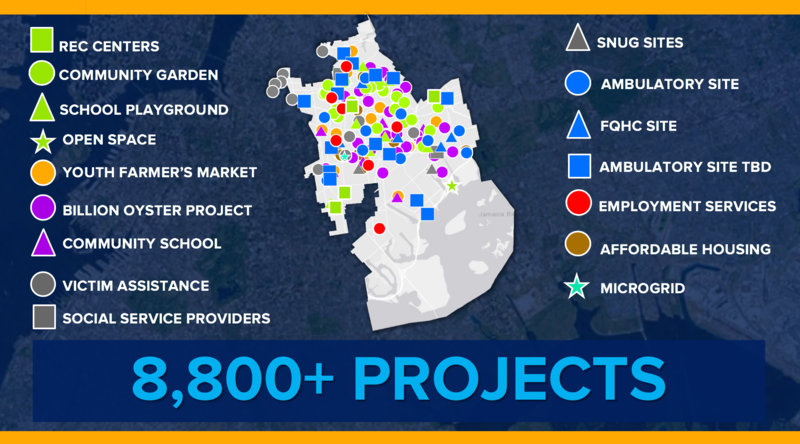 Vital Brooklyn will be a huge catalyst for our work to support community vitality, wellbeing, and safety and ensure that our spaces continue to serve the growing needs of so many Brooklynites far into the future. " Demetrice Mills, Board President of Brooklyn Queens Land Trust, said, "Access to clean water is very important in growing fruits and vegetables in community gardens. We are so excited to be a recipient of this grant from the New York State Vital Brooklyn initiative. Our gardeners are happy to get water systems inside their gardens. It will go a long way towards sustainability in our neighborhoods. This will help in a big way. Community Gardens are the life blood in the communities we serve." DASNY President & CEO Dr. Gerrard P. Bushell said, "DASNY is thrilled to play a part in bringing much-needed green space to the Central Brooklyn community. By administering grant funding for these projects, we help transform underutilized spaces into gardens, building healthy communities and promoting economic opportunity." Senator Martin M. Dilan said, "Investing in these gardens gives our community a tremendous new opportunity to enjoy the health and wellness benefits of gardening right here in our neighborhoods. I am deeply grateful to Governor Cuomo for his work to create a brighter future for Central Brooklyn." Senator Jesse Hamilton said, "I applaud Governor Cuomo for investing in the well-being of the people of Brooklyn. With these community gardens, we are helping people right on the blocks and in the neighborhoods where they live. We continue to make progress towards a healthier and more prosperous Brooklyn." Senator Velmanette Montgomery said, "I am proud to represent a district filled with community gardens, which are essential to the wellbeing of my constituents and all New Yorkers. They provide more than just green space. They engage residents in community projects, are educational spaces for young people and some even provide affordable produce for their neighbors. I thank the Governor for this investment and I commend volunteer organizations like Brooklyn Queens Land Trust who work so hard to preserve these neighborhood treasures." Senator Kevin Parker said, "The enhancements for community gardens in Brooklyn will benefit the community for many years ahead. These gardens represent positive benefits including the growth of sustainable choices and healthy lifestyles, and as important, they often serve as the heart of the neighborhood for local residents. I applaud Governor Cuomo for his tireless leadership on the Vital Brooklyn initiative and his commitment to improving our communities." 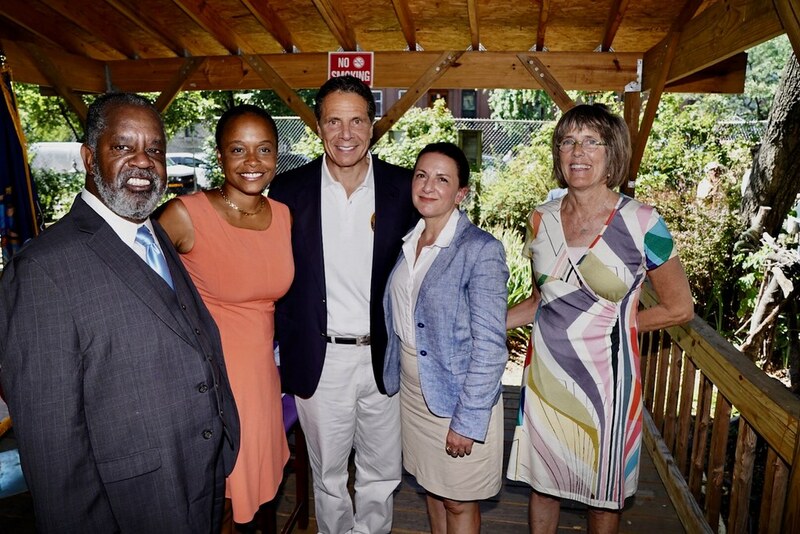 Senator Roxanne Persaud said, "I applaud Governor Cuomo and all partners involved in the necessary upgrades to our Brooklyn community gardens. These improvements will serve an integral role in connecting our communities to outdoor spaces and provide healthy alternatives for engagement in recreational activities." Assemblymember Erik Dilan said, "Across our neighborhoods community gardens have played a vital role in shaping who we are, and we must care for, enhance and expand these gardens for the next generations. Thank you Governor Cuomo for your work on this project and the comprehensive Vital Brooklyn initiative." Assemblymember Maritza Davila said, "Having served on several Boards and Advisory Committees for several community gardens I can attest to the importance these gardens serve in the revitalization of our communities. I applaud Governor Cuomo and community gardeners across our city for enhancing and caring for these precious spaces that provide us all with a sense of community." Assemblymember Walter T. Mosley said, "Community gardens are special places that not only provide dedicated greenspace here in Brooklyn, but also serve as gathering areas for local residents to enjoy the outdoors. I am proud to be part of today's announcement and thank Governor Cuomo for these enhancements will impact these neighborhoods for years to come." Assemblymember Latrice Walker said, "Today our open space is as important and vital to our health and well-being and more crucial than ever in the development of social bonds. Thank you Governor Cuomo for both recognizing and working with all of us to take the action necessary to improve upon these community treasures." Assemblymember Tremaine Wright said, "I am excited by this effort to put urban gardening within reach of more Brooklyn families, because they improve access to fresh food while encouraging healthy outdoor activity and building connections in the community. I thank Governor Cuomo for making these gardens a part of the strategy to revitalize our Brooklyn neighborhoods." Councilman Robert Cornegy said, "Community gardens are places that offer the opportunity to eat healthy, delight our eyes, deliver natures invigorating and refreshing spirit, amuse us through touch, and foster the bonds of community. 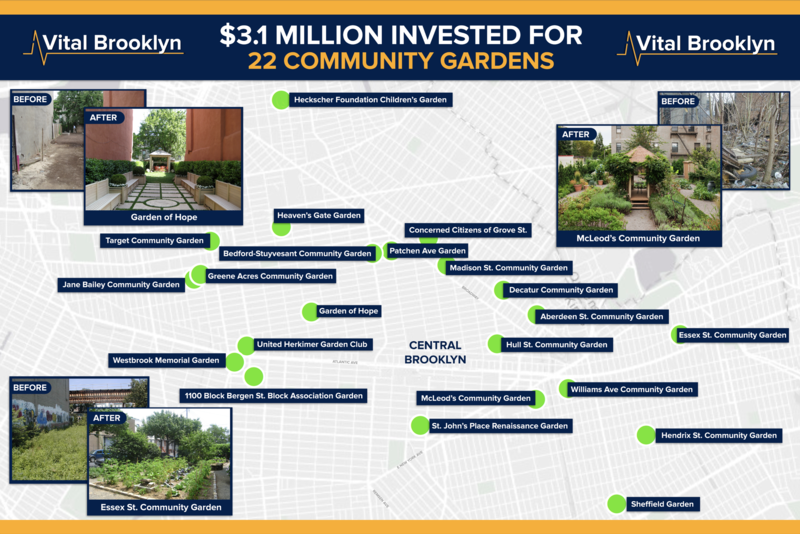 Thanks to Governor Cuomo, the improvements across these 22 gardens will allow more Brooklynites to engage and enjoy the enriching experience of a community garden right outside their door."